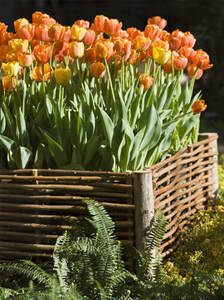 Raised Bed Gardens, Fashion or Function? Raised Bed Gardens ... Fashion or Function ? Our gardener says his raised bed gardens Are Functional. Jack up the vegetable garden soil ... a raised flower bed too. His answer to growing plants in a less than ideal garden site. 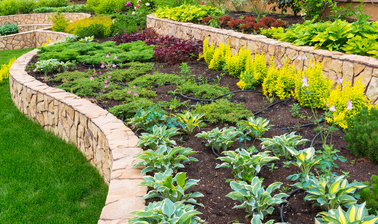 Why Would a Gardener Choose Raised Bed Gardens ? ... 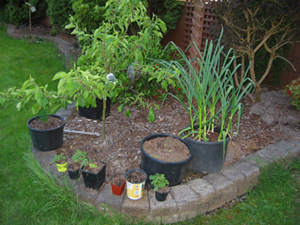 There are numerous marginal backyard garden conditions. Too much drainage ... gravel or sand letting water pass through. ... absence of topsoil removed by home developer. ... early warm earth means planting seeds and transplanting sooner. ... how about terracing ! A great look for flowers or vegetables. 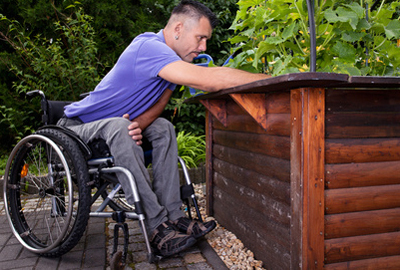 ... walker or wheelchair accessible gardening. 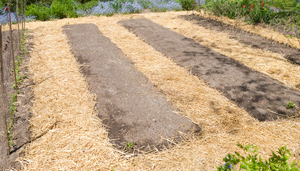 ... foot paths between raised beds reduces soil compaction. ... most often the decision is made for more important reasons than vegetable or flower gardening. 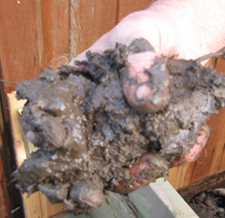 So, jacked up garden soil, placed in the prime sunshine location, will make a marginal site ideal. Growing organic vegetables in year one ... what a reward ! ... be ready for the soil to warm up in spring ... earlier planting. How are these elevated gardens built ? 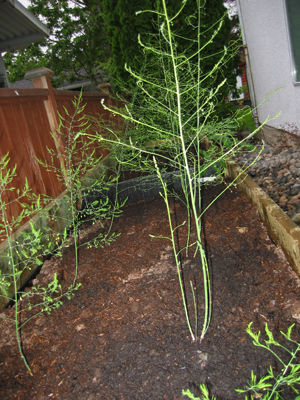 mulch added to a garden plot over time raising the soil level. ... Sheet or lasagne gardens placed on existing lawn or un fit soil ... no dig gardening ! and can be placed in any garden location ... a little guerilla gardening in the backyard. ... Mrs. Gardener not so much. ... Maybe a more complicated garden structures built specifically for raised gardening. ... if the gardener desires a fancy high end look. ... a multilevel garden of flowers,shrubs and vegetables. ... the reason their toes are dry and they do not drown. No lifeguard needed when raised bed gardening ! 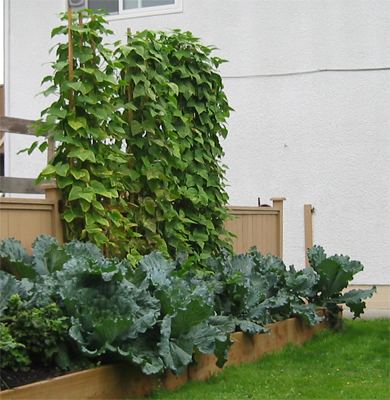 Miss something about Raised Bed Gardens? Return to top of page.